I haven’t written much in awhile, due to a flurry of other writing and speaking engagements that have demanded my attention. One of them occurred last week, when I was invited to present at Distilled Spirit, a conversation about God and life modeled after Theology on Tap. The event was sponsored by a neighboring UCC congregation and held at Epicenter’s Moonshine University, the nation’s only institution dedicated to teaching the art of distilling spirits. 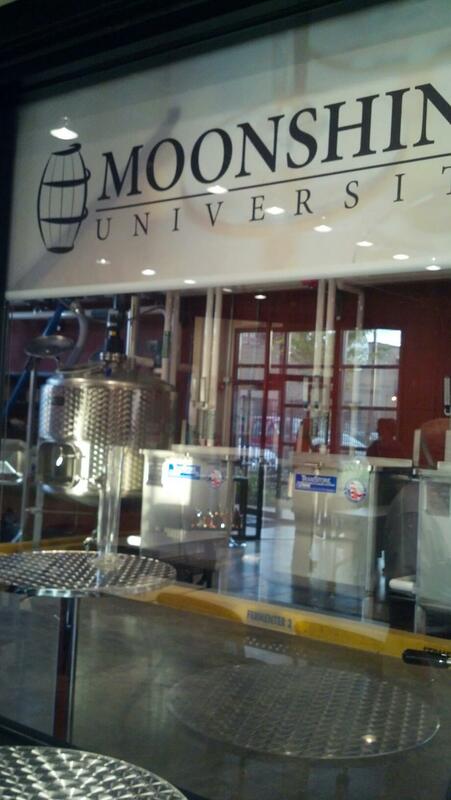 The distillery at Moonshine University in Louisville, Kentucky. The words came lightly at the time, but I have been contemplating them ever since. Where did that idea come from? Did I really mean to suggest that my experience didn’t count unless it had been shared on Facebook? What does that imply about reality and our relationships through social media? I traced the root of my comment back to something I had heard (and believed) about the church’s presence in social media. I heard someone remark that the world of the next generation existed online, and if the church wasn’t there, it was as if we didn’t actually exist. Just as the physical building of the church makes its presence real in a neighborhood, its web and social media presence make it real in the online world. I also remembered hearing an expert in the Millenial Generation, most well known for being digital natives, talk about the way the presence of smartphones in our lives had changed social reality. Through the device, one’s entire network of friends and family and schoolmates and extended acquaintances travels with you everywhere you go. You can share life’s experiences with them in real time, even if they are a continent away. You expect them to be present with you everywhere, and to share in everything. That’s what I was feeling with my compulsion to share pictures from Distilled Spirit. Through Facebook, I have an extended network of family, friends, and clergy colleagues with whom I share my life. The once-in-a-lifetime experience of speaking at Moonshine University was incomplete until I was able to share it with them. This is an essential part of the human experience, with a new technological twist. We have always sought new and creative experiences, and we have always turned those experiences into stories and memories to be shared with others. Whether it’s swapping hunting and fishing tales around a campfire, writing letters home, or posting on Facebook, our best experiences are incomplete until they have been transformed from experience into story and shared with others. News–whether it’s good news, bad news, or Gospel–doesn’t become real until it is shared with others, no matter the means of communication. A soldier at war is alive until the telegram arrives at his or her parents’ home. A relationship is real when it becomes “Facebook official” and you change your online profile. A marriage appears intact until you announce to friends and family that you’re separating. A pregnancy takes on new dimensions when you start to share the ultrasound pictures. A new job is finally certain when you’re allowed to tell your friends–and your current boss–that you start next week. Even the reality of a loved one’s death only begins to sink in when we have to tell others he or she is gone. Social media just adds new dimensions to that same reality. You experience something in the world, and then you re-experience it when you share it with others. Just like we can’t wait to see the look on someone’s face when we tell them about a terrific experience, we can’t wait to read our friends comments and replies online. That’s why I have begun encouraging my congregation to make use of their smartphones in worship. Rather than seeing their desire to take pictures, tweet my sermon or check Facebook during worship as a distraction, I see it as a way of making the experience real and memorable, owning it as a part of their life story. I see it as part of spreading the Gospel good news. Borrowing an idea from Michael Piazza at the Center for Progressive Renewal, I now invite the congregation to “check in on Facebook and then check in with God” as they listen to the opening prelude. Sharing the experience of worship at our church with their online community–even if it means looking down at their smartphone during my sermon–makes it more real, not less. It’s not a blanket call for people to be playing with their smartphones during church, but it is a recognition that reaching over to grab the iPhone might be a way to go deeper with the message, not to ignore it. Even more, it can be a great opportunity for evangelism. If an experience is only memorable and meaningful when we tell the story to others, by all means, we should be using every means at our disposal to facilitate that telling about God. Let us cement the Gospel story in the story of our lives by placing the church’s events alongside the first day of school, lunch at a fancy restaurant, feet at the beach, family at the holidays and funny cat photos in our Instagram, Facebook or Twitter feed. While there are limits to be sure, perhaps we should encourage our gathered congregations to integrate their spiritual and social lives by “checking in” at church and tweeting lines from songs and sermons. Our online lives enhance and expand our real-life experiences because we can share them with friends. So, look everybody! Here’s me talking about the Bible at Moonshine University. How cool is that? You never know where Jesus is going to send you. 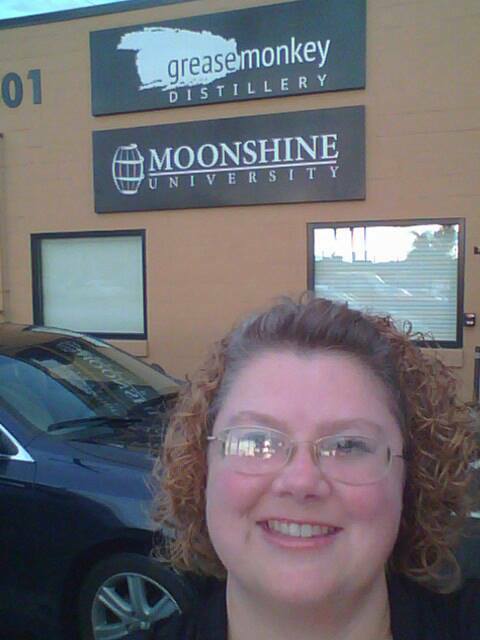 Here’s me at Moonshine University! 2 Responses to "Making Church “Facebook Official”"
Hi–Thank you very much for this. My thinking about social media and church is is much the same place. And as I am preaching next Sunday on “The Holy Bible Redux” as the second installment in a “Back to (Church) School” sermon series, I am very interested in the content of the talk you gave on the Bible at Moonshine University. Would you be willing to share it? I’m happy to share. It was a reflection on my personal history with the Bible, and an invitation to participants to think about their relationship with the Bible. There was lots of conversation and sharing. Mostly, I wanted them to think about themselves as having a relationship with the Bible–which was a new concept to many. Feel free to e-mail me or find me on Facebook, and I’ll send a copy of my outline.